A classical and majestic property a few steps from the charming village centre with its impressive castle, lively bar, town hall, school and post office. 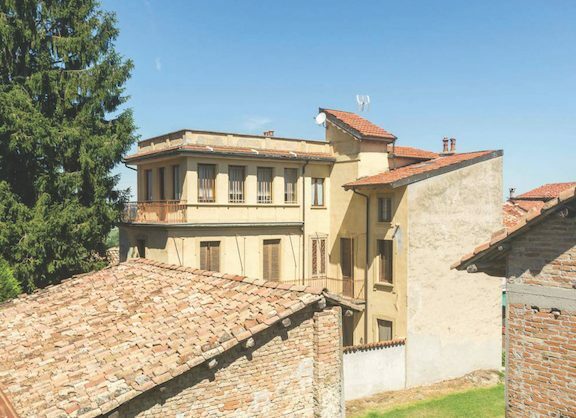 This fascinating house on three floors, in addition to the cellar with brick vaults, has kept intact the beauty of antique things: terracotta floors, original painted doors, frescoes and a lovely and private garden – really special! The rooms are spacious, bright and with antique parquet floors. The most fascinating feature, in addition to the winter garden created in a living room with coloured windows, is the roof terrace with a 360° view of the village, the countryside and the Alpine Arch. Our ref: CM-1107.